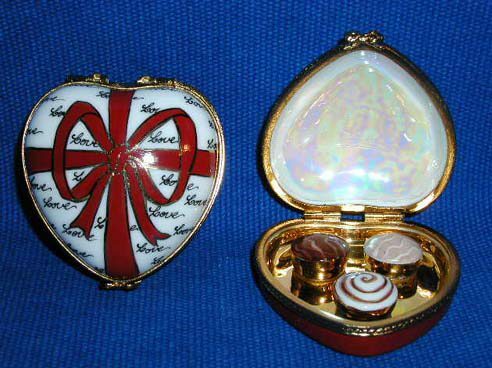 These porcelain boxes are artistic creations which were snuff and tobacco boxes originally, have now turned to be elaborately decorated trinket Limoges boxes. 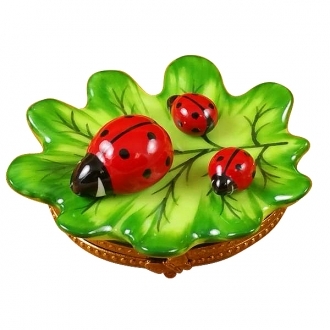 It can be given to a lady-friend to keep her delicate trinkets in or to a man-friend to add to his curio collection.We have lovely Limoges trinket boxes with multiple themes. 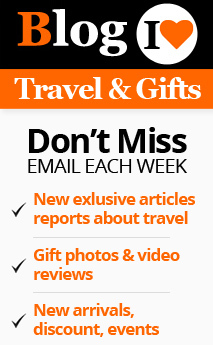 The book themes are suitable to be gifted to somebody who is a voracious reader. He or she will be delighted to have a Limoges box with a book theme. Valentine’s Day, not far removed from New Year, still retains the spirit of the New Year. 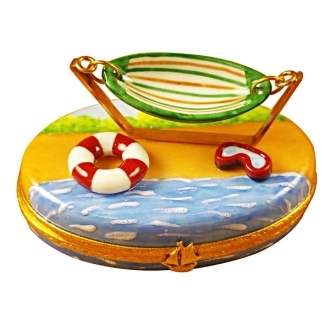 Why not carry the New Year promises to your love with a fabulous Limoges box gift? Snow laden Christmas tree reminding the birth of the holy baby, Santa who embodies generosity and the gift packet that symbolizes somebody’s love – they are all there and it will be a most meaningful gift of love for someone you love. Try presenting this to your wife. She will hold this closer to her heart. How about gifting the love of your heart with a trinket Limoges box with a cherub celebrating love on a lyre? The angelic figure playing on the lyre will bring the most romantic love song your partner has heard so far, to her mind. The trinkets held by the charming Limoges box will have a special relevance to her. Your girl will adore you for giving her such a romantic gift. Are you by any chance thinking of proposing marriage to your sweetheart on this Valentine’s Day? It is a ripe time for such a proposal. Give her the ring in a Limoges porcelain box with a forget me not heart. It will be the most imaginative and romantic thing to do. Any girl will be in a state of euphoria, when she gets the long awaited proposal in such a manner. Beautiful gardens with sweet smelling flowers all around are always the lovers’ rendezvous. Have you thought of having a quiet and romantic Valentine’s Day this year? Take her to a romantic bower in a garden – just you and your love and the nature all around. 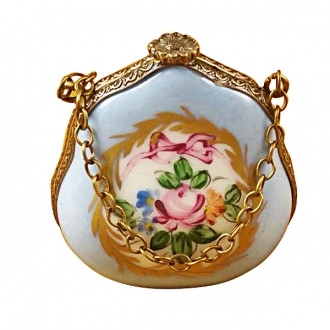 Give her a piece of jewelry in a beautiful hexagonal flower inlaid Limoges trinket box. She will be pleasantly surprised. 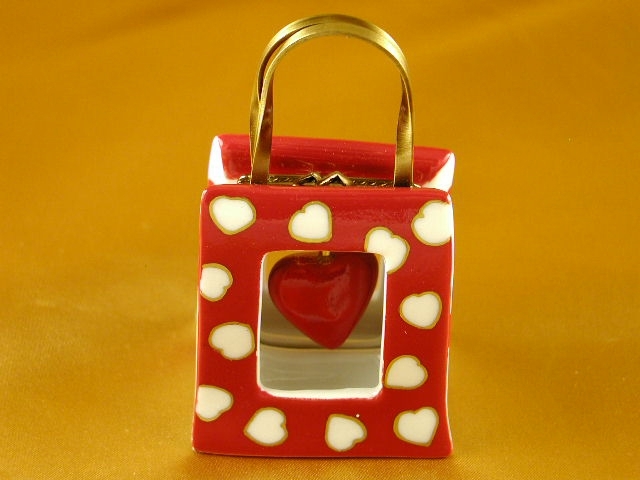 In case you would like to present your wife with a keepsake on the Valentine’s Day you can select one of those whimsical designs from our ladies accessories collection. We have a collection of Limoges porcelain boxes which replicate very charming ladies vanity bags and hat boxes. Your wife will surely appreciate one of those sophisticated looking imitations. The Limoges boxes made of glistening white kaolin clay makes beautiful Valentine’s Day gifts. They serve to ascertain your love for your dearest. If you are married it helps you to strengthen the marital love further.